California poppy: Did you know? ​The Mexican poppy is one of the first Sonoran Desert wildflowers to emerge in the spring. It can be seen on roadsides, yards, and all across parks and preserves in Phoenix and Scottsdale. Look around you in February and March – you’ll see them everywhere! 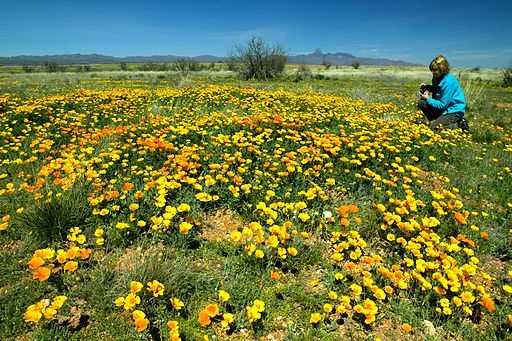 ​There are other types of poppies in the Sonoran Desert, such as the California poppy. You can tell the difference by looking at the underside of the flower. The California poppy has a small leaf-like ring where the stem meets the petals. The Mexican poppy has none. 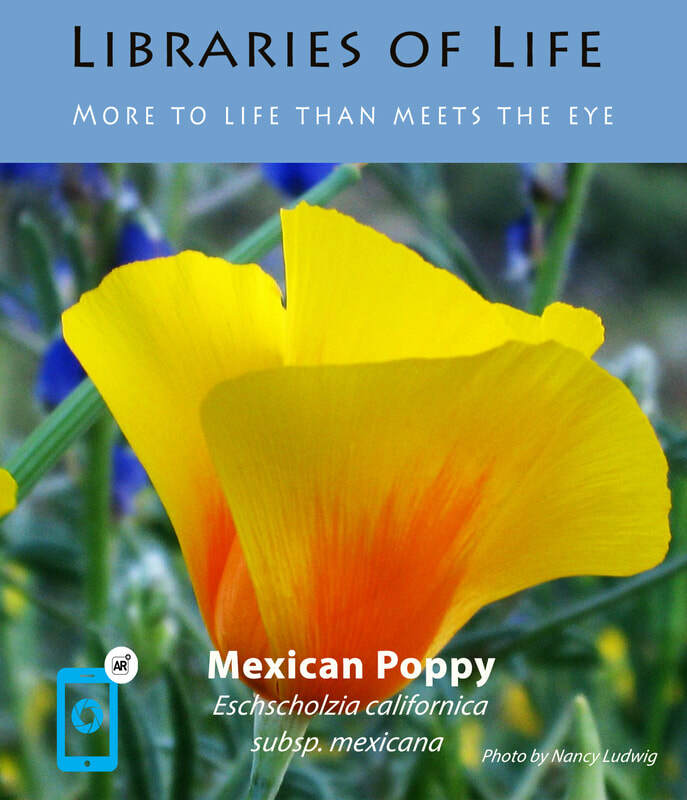 ​Flowers of the Mexican poppy are yellow or orange, and sometimes there will be both colors on the same plant! The flowers open in the morning but only open on bright, sunny days. On cold, cloudy and windy days, you will notice that they remain closed. The flowers are an important source of pollen for native bees, which use it to create “bee bread” to feed their young, or larva. In turn, the bees bring pollen from one poppy to another, which is necessary to produce seeds. It’s a win-win relationship! The leaves and stems are blue-green and split into many parts, making them look “lacey”. Although beautiful, the leaves and stems are actually poisonous. Having poisonous leaves helps protect the plant from being eaten by deer, javelina, rabbits, and other herbivores before they can produce seeds. Speaking of seeds, the seeds of the poppy are tiny. Also, seeds will wait in the ground for several years waiting for beneficial moisture conditions.